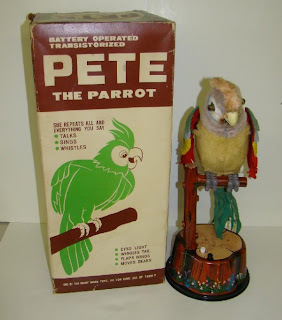 Louis Marx and Company was an American toy manufacturer from 1919 to 1978. 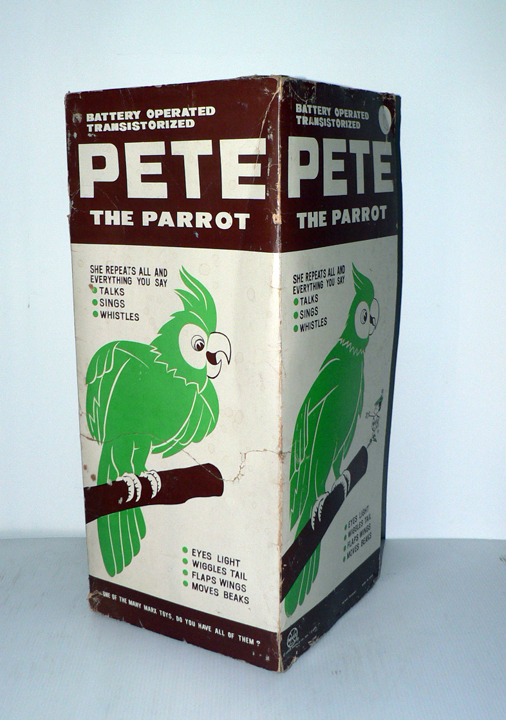 Its boxes were imprinted with the slogan, "One of the many Marx toys, have you all of them?" 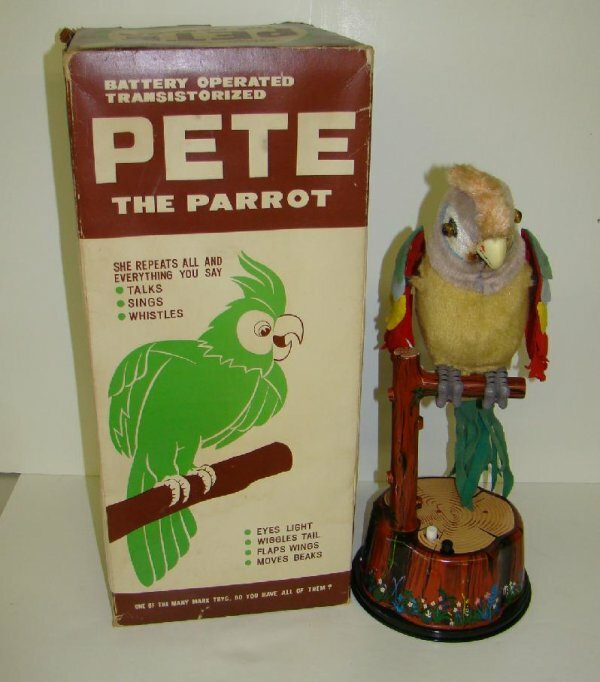 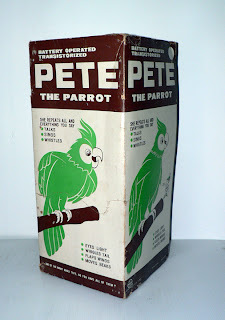 'Pete the Parrot' is a Louis Marx battery operated tinplate and fabric covered talking , with re-recordable message tape, turning head, illuminated eyes, moving wings and tail, circa 1962, 18½in high.